This website is dedicated to everyone who aspires to reach acme of virtuosity in playing the piano accordion despite of 'traditional' limits imposed by the traditional accordions' design. A child learns to play the instrument that was chosen by his parents. His mom and dad are happy. They have enough that their child has a taste for music. How his further relationship with this instrument will go on? As a rule, this question is asked very seldom, and that is a great mistake. You see occasionally, when the child grows up, he may decide to take the music as a profession. Young virtuoso gets tired of playing simple classical etudes, he wants to play some difficult original compositions. That's when the family finds out many new things, they were not aware of before. 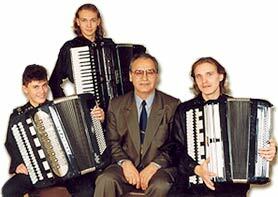 It appears, on the button accordion (called 'bayan' in Russia) music of all genres could be performed: from original chamber music up to folk songs. But the piano accordion does not allow such diversity. So, and what to do with a young piano accordionist, if he wants to play everything that has been written for accordion? One choice would be to make changes in the text of the piece. Alternatively, one can start retraining to play the bayan, having refused the former skills he has been painstakingly developing before. Or else… one can master performing on an unique keyboard in a short period! By combining the capabilities of the piano keyboard and the chromatic push-button keyboard, Nikolai Kravtsov, Professor of the Saint-Petersburg university of culture and arts, created a new advanced and unique keyboard. The inventor took into consideration the advantages and drawbacks of both types of keyboards. The new keyboard incorporates the advantages of both. That is the reason why Kravtsov's accordion is peerless as to the performing capabilities and convenience it offers the musician. 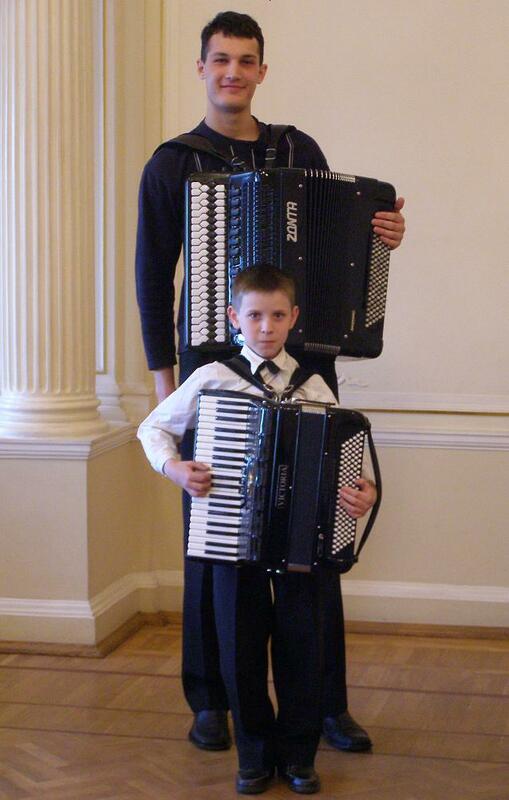 Anybody who wants to play the Kravtsov's keyboard do not have to learn completely new skills and techniques, but only adapts to those he or she already possesses, because they become the masters of two types of accordion at once. Moreover, virtuos accordionist's technique gets completely better. Mastering Kravtsov's keyboard opens completely new horizons for a musician. is a new stage in the development of musical instruments.